Take you time before you sign a rental contract, take your time and look around for the best price for the house, apartment, or condo you are looking for. I would suggest you find an aparthotel in the area that you want to live and stay there and look around for about a month and compare prices and not rent the first place you find. I have heard too many times people saying they wish they had waited before signing their rental contract because once they knew their way around better they found a place for less money and better suited their needs. When looking for a place to live in Costa Rica you will find your best prices for a house rental in a typical Costa Rica neighborhood which for most would be perfectly acceptable. When you choose a gated community with other ex-patriots you will be paying a premium price. When looking for an apartment or condo the price for this type of rental will depend on the amenities included. When renting an apartment or condo with all sorts of amenities such as a pool, tennis courts, gym, and more be sure you are going to use these amenities because you are paying for them. 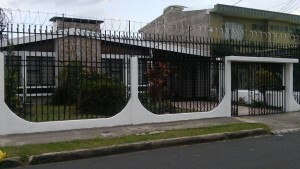 The bottom line is take your time before signing the rental contact and enjoy looking for your new home in Costa Rica.